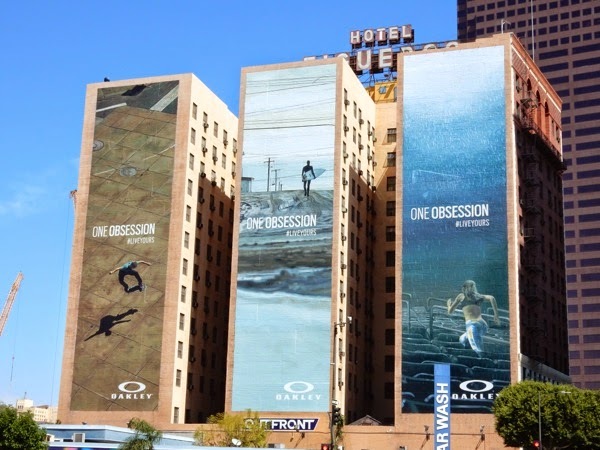 Obviously for Daily Billboard it's capturing all the exciting and eye-catching outdoor ads that fill the city skyline on a day-to-day basis, like this engaging 'One Obsession' ad campaign for sports fashion brand, Oakley. 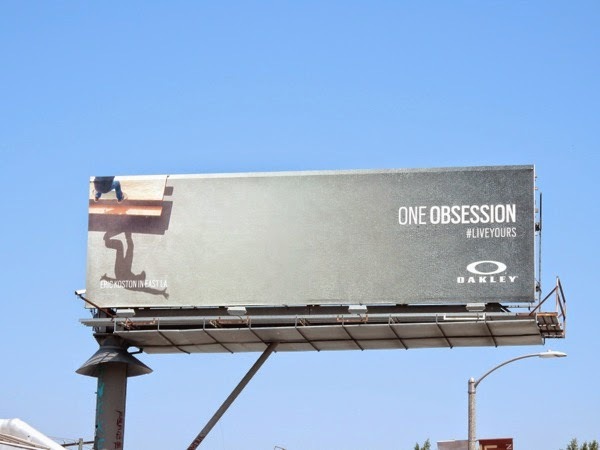 Whether your passion is skateboarding, surfing, skiing or keeping fit, Oakley has the sunglasses, swimwear, athletic apparel and accessories for you to do what you love doing. 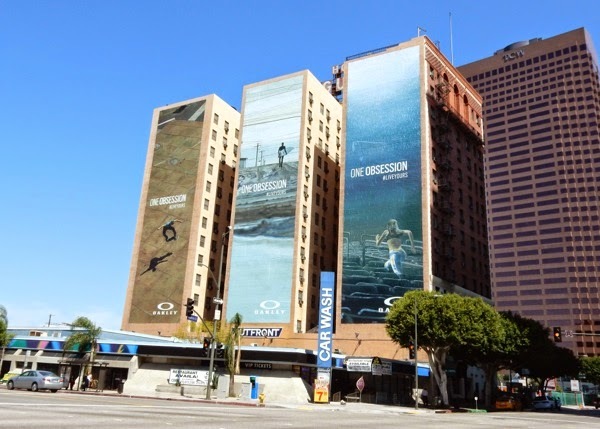 These sporty creatives certainly help capture the spirit of the youthful and dynamic brand, and let's face it, everything always looks better super-sized. 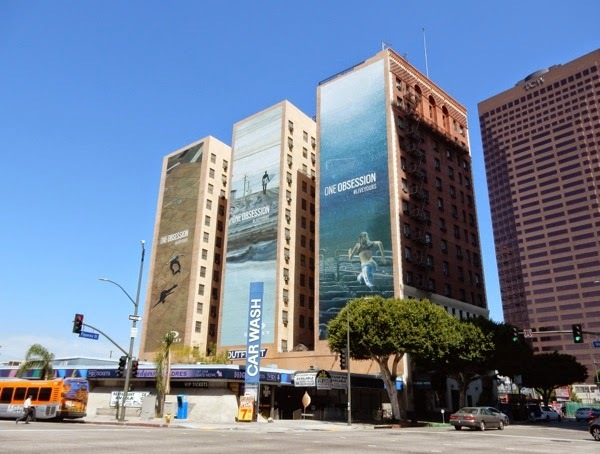 These cool landscape billboards were all snapped on April 1, whilst the giant-sized trio of billboards were photographed on the side of the Figueroa Hotel towering over Downtown L.A. on April 4, 2015. 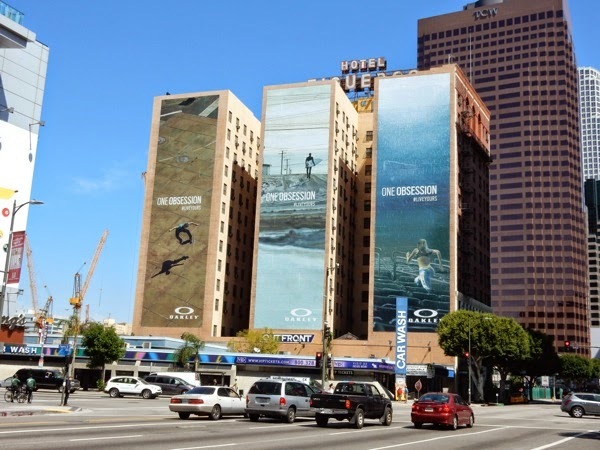 If you like these ad creatives, be sure to also check out this Sprite skateboarder billboard, these surfer beer billboards, these Asics running apparel billboards and these extreme sports billboards for GoPro. 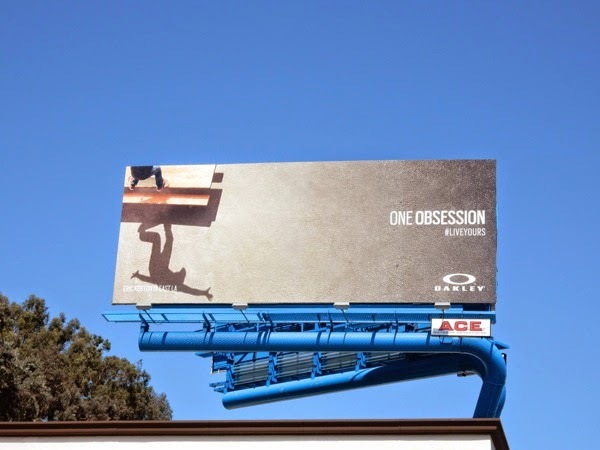 Whatever your obsession is, be sure to live it 100%, life's too short not to. 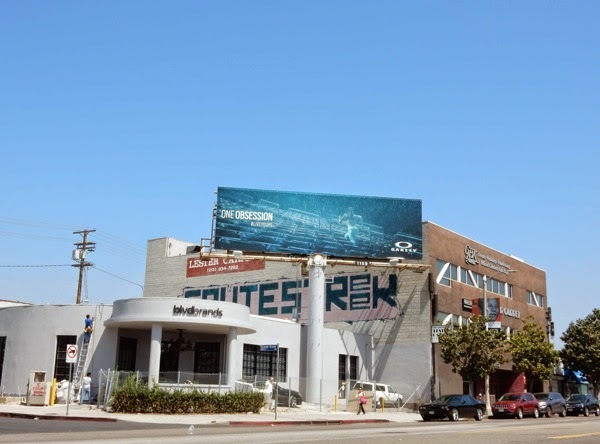 And remember, if you ever glimpse a billboard out the corner of your eye in L.A. and wonder what it's for and want to know more, you'll probably be able to find it right here at Daily Billboard. 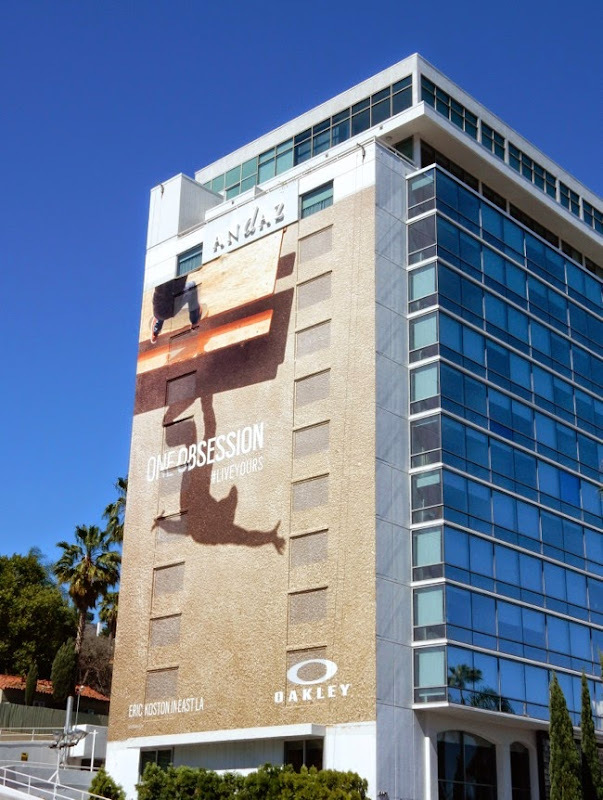 UPDATED: Here's another giant-sized Oakley billboard, this one featuring the 'Eric Koston in East L.A.' skateboarding creative. 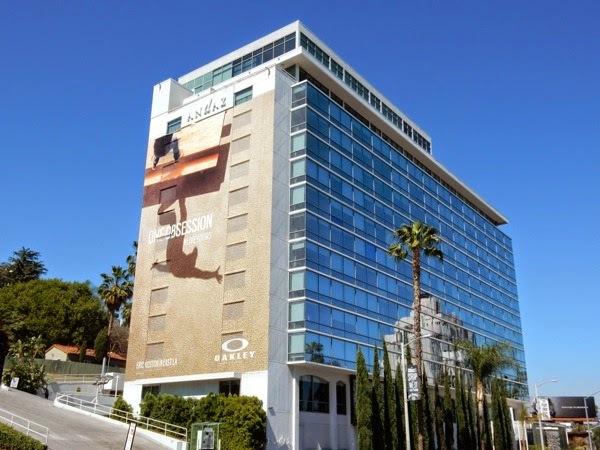 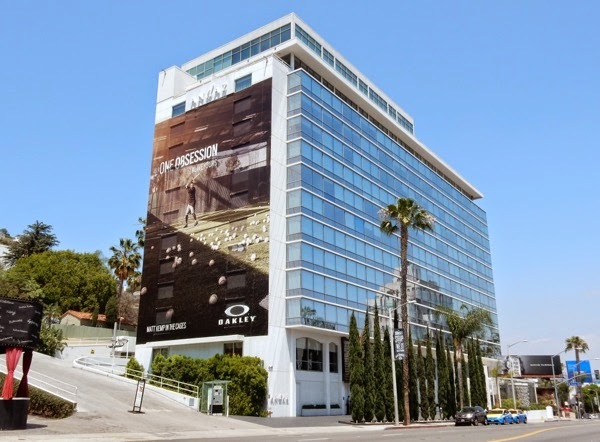 This eye-catching billboard was snapped on the side of the Andaz Hotel along the Sunset Strip in West Hollywood on April 28, 2015. 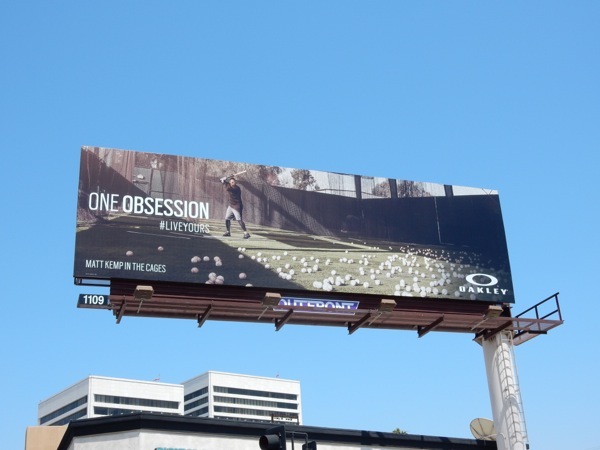 UPDATED: Oakley's reign along the Sunset Strip continues with this new baseball billboard featuring San Diego Padres Matt Kemp in the batting cages. 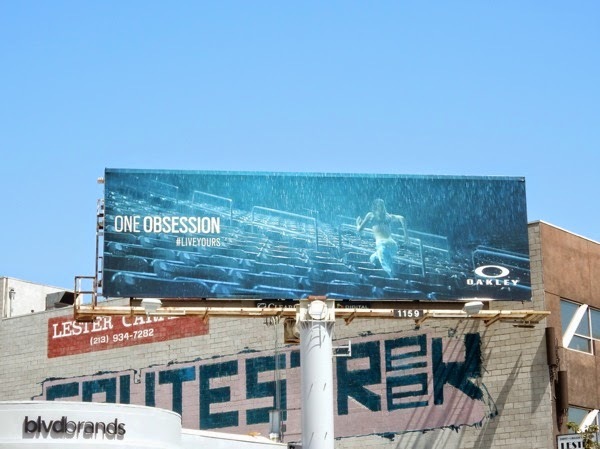 This latest super-sized Oakley One Obsession billboard was snapped causing a spectacle on May 18, 2015. 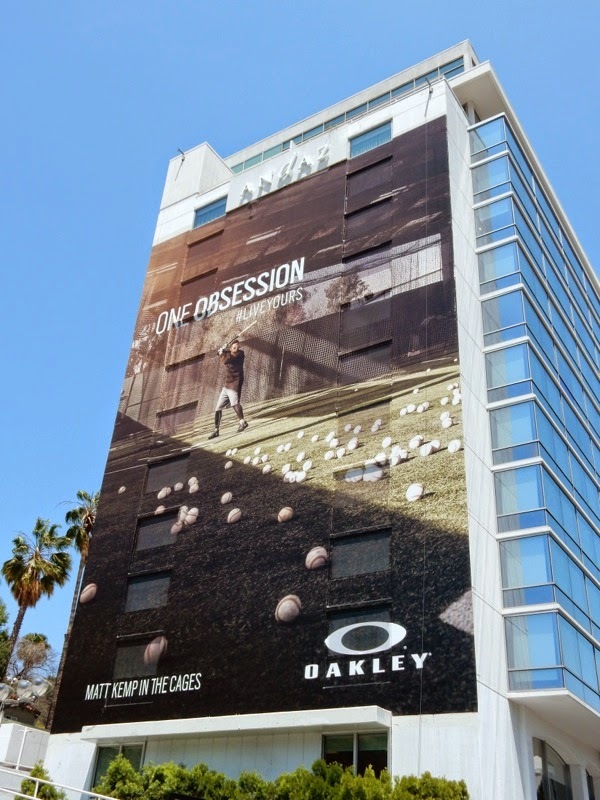 UPDATED: Here's also a standard landscape version of the baseball creative snapped along Santa Monica Boulevard in West L.A. on June 6, 2015.